The Kyiv office of DLA Piper is fully integrated with the international legal practice of DLA Piper. More than 4200 lawyers of DLA Piper work in offices throughout Asia, Europe, the Middle East and the United States, and provide clients with the full range of legal services. We work to serve the existing legal needs of our clients wherever they choose to do business. DLA Piper has a well-established multidisciplinary practice in Ukraine since 2005. Being at the Ukrainian market for more than 13 years by now, DLA Piper team understands the Ukrainian business, and knows the local environment in detail. DLA Piper clients include single-owner startups, local and household name companies, multinationals, financial institutions, FTSE and Fortune 500 enterprises and their subsidiaries, public bodies and governments. We have a dedicated team of professionals covering all legal aspects relevant to doing business in Ukraine in the major sectors including energy, financial services, life sciences, hospitality and leisure, retail, infrastructure, media, mining, oil & gas, IT/technology. Currently in Ukraine we are staffed with more than 70 people (including 40 lawyers and 7 partners). It has been a while since the Ukrainian hospitality market was almost dormant with very low activity levels. Despite the Ukrainian economy still far from being in ideal shape, last year saw a rise in the flow of tourists coming to Ukraine as Ukrainian cities are now offering food, entertainment, sports and cultural events at a level comparable with that of the best European tourist spots. This inevitably creates demand for new hotel rooms, specifically good quality ones in the 3— and 4-star segment. Over the last two years, Ukrainian legislation has undergone a number of significant changes that have generally improved the business climate and made the Ukrainian market more investor friendly. This allows us to be optimistic that international hotel brands will once again be looking at Ukraine with interest. In Ukraine, hotel deals with international brand operators are mostly structured via one of the following options: (1) franchise agreements, or (2) a set of hotel management agreements. Due to the absence of legislation, franchise agreements in their pure form were not enforceable in Ukraine until recently and to be legally valid in Ukraine they had to be reformatted into a number of other agreements that served the same purpose. Hotel management agreements are still the dominant model for hotel deals in Ukraine. Due to the immaturity of Ukrainian law, as well as a lack of trust in the Ukrainian judicial system, hotel management deals with international brand operators are always governed by foreign law and subject to the jurisdiction of foreign courts or international arbitration. 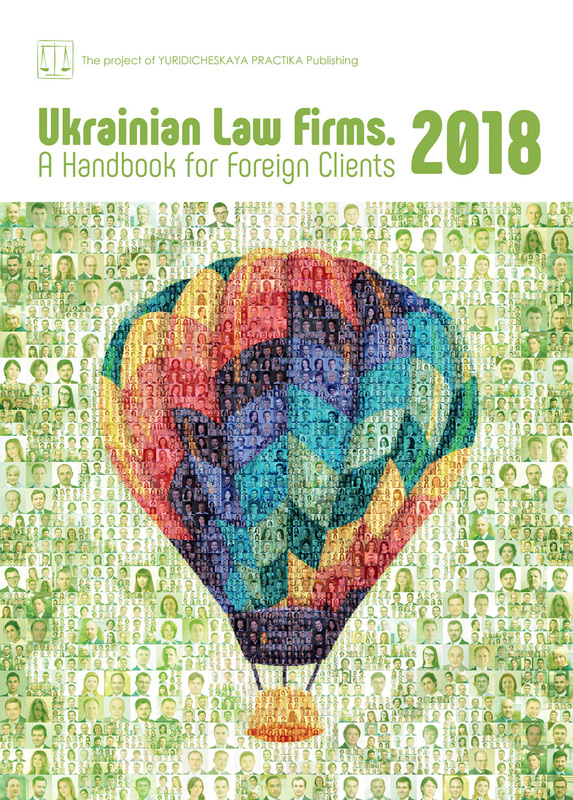 At the same time, while drafting and negotiating hotel agreements the parties involved should take into account certain mandatory Ukrainian legal requirements and rules. These rules include, inter alia, the necessity to obtain clearance from the Antimonopoly Committee of Ukraine should the parties to a deal meet certain thresholds; currency control rules applicable to payments under hotel agreements; tax deduction limitations applicable to cross-border payments; and Ukrainian transfer pricing provisions, which may also extend to payments under hotel agreements in certain cases, etc. — A Central Reservation Services Agreement. An LOI or MOU is the first document to be prepared and negotiated and it sets out the main terms and the scope of the project to be undertaken by the owner and operator. Depending on the agreement between the parties, the LOI or MOU can be binding or non-binding, and it can provide for a certain exclusivity period during which the owner would not be allowed to negotiate with other operators. The most crucial terms of the project to be set in the LOI/MOU are: the levels of service and the service fees; the list of definitive agreements which will formalize the relations of parties; the period of hotel management; the consequences of the hotel sale or transfer; the restricted territory or area of protection provisions preventing the brand operator from owning, franchising or managing a competing hotel within the restricted territory; responsibility for hiring hotel personnel, including the General Manager and Financial Controller; and the bank accounts attributable to the hotel and the rights to manage and control such accounts, etc. The Technical Services Agreement (TSA) is an agreement according to which the operator provides the hotel owner with brand supervision services during preparation of the hotel design and hotel construction or renovation. TSA service fees can be either capped/fixed fees for all services, or a price per hotel room. The main purpose of the TSA is to ensure that the hotel meets the agreed brand requirements. Pre-opening services can be provided by the operator to the owner either under a separate agreement or as part of services under the Hotel Management Agreement. These services usually include: recruitment and training of hotel staff; sales promotion; negotiation and contracting with tenants of retail and other hotel facilities (e.g. shops, restaurants, beauty salons, etc. ); preparation of pre-opening statements and report; and pre-opening parties and similar activities. An HMA is concluded between the hotel owner and the operator. However, the reality in Ukraine is that the setup may not be that simple as the owner’s business and hotel ownership may be structured in a complex manner for various business and tax reasons. Thus, it might well be the case that the hotel is owned by a special purpose vehicle with no other assets and operations. In this case the operator would likely ask for a guarantee of another company from the owner group or a reputable bank with respect to the financial obligations of the hotel owner. From the point of view of Ukrainian law, commencement of hotel management by the operator is considered as gaining control over a property complex, which requires a preliminary permit from the Antimonopoly Committee of Ukraine should certain economic thresholds be met by the owner’s and operator’s groups. Thus the necessity of the aforementioned permit should be verified, and if required a relevant permit shall be obtained prior to the hotel’s date of opening. — Managing and settling all complaints from hotel guests, customers, suppliers. The owner shall have limited authority to interfere in the operator’s hotel management activity. However, levels of authority are usually heavily negotiated by Ukrainian owners and they often obtain more control over the hotel than international brand operators are used to extending to owners in other European countries or the US. It is customary for Ukrainian hotel management deals to include an initial term of the HMA and further renewal terms. Where early termination is negotiated, it is usually subject to exit fees. Commonly, operators will require consent to any change in ownership of the hotel. There may be restrictions on transfers to competitors, restrictions in relation to financial covenant strength and reputation tests. In case of a breach of such restrictions the operator will likely only be able to receive either contractually agreed compensation, damages available under the applicable law or termination fees, and the hotel transfer transaction performed under Ukrainian law can hardly be unwound. Fee structures under HMAs vary between operators. The standard is a base fee calculated on revenue, or an incentive fee based on profits. The customary operator’s performance test would consider achievement against budget and/or RevPAR against a competitive set of local hotels. Hotels managed under international brands require a proper legal basis for brand/trademark use, which is usually a Brand or Trademark License Agreement. Such an agreement is concluded between the hotel owner and a member of the operator’s group, i.e. the owner of the relevant brand. The owner pays royalties for the license. The term of the License Agreement correlates with the term of the HMA. Centralized services are services that are provided by the operator or its affiliates to all hotels managed by the operator elsewhere. Such services may include: revenue management services, information technology, risk management, sales, training and business intelligence, etc. The scope and cost of such services will be reviewed by the owner during the annual budgeting process. For such services the owner shall pay its hotel’s a fair share of the total costs that are incurred in providing centralized services to all hotels managed by the operator or its affiliates. Cooperation with a branded hotel operator gives the owner the benefit of access to the brand’s global reservation system. The cost of such services for the owner is usually charged at a certain amount per reservation made through the operator’s global reservation system. Above, we have outlined what one would customarily see in a standard hotel management deal with an international brand hotel operator. Hopefully, we will soon see more international brands coming to the country and existing ones extending their portfolios, which will lead to further development of the industry and its legal framework in Ukraine.